St. Martin of Tours, curing one possessed by the Devil. 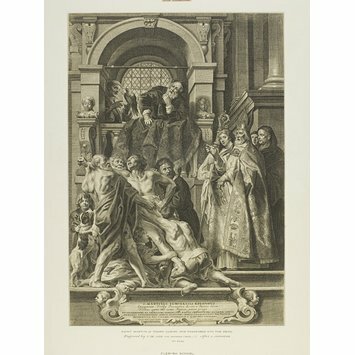 After Jacob Jordaens (the elder); Print on paper. St. Martin of Tours, curing one possessed by the Devil. 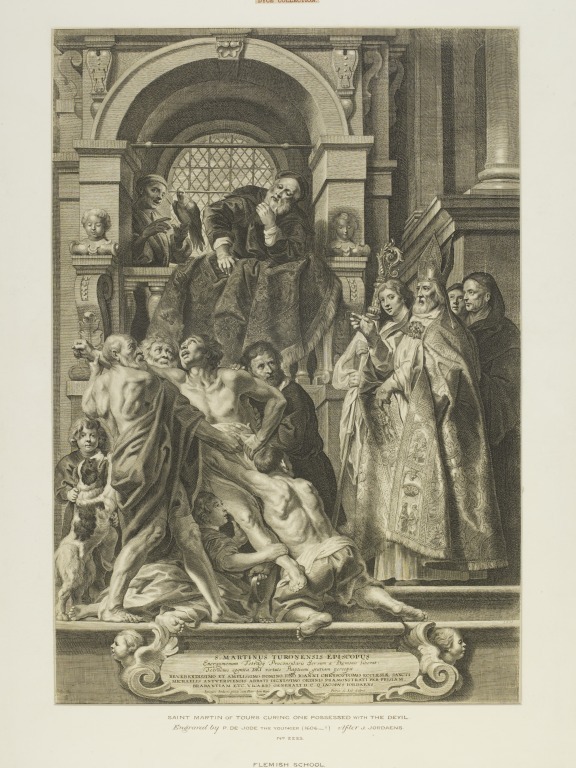 After Jacob Jordaens (the elder); Print on paper; By Pieter de Jode (II); Flemish School; Mid 17th century. This is presumably after Jacob Jordaens (the elder), rather than Jacob Jordaens (the younger) (born 1625).